The About Screen lists the current build information. Scroll down to see the complete information. The View Log button gives details about the most recent internal errors that AppStudio encountered. The Open Log Folder button opens the folder which holds the complete log files. 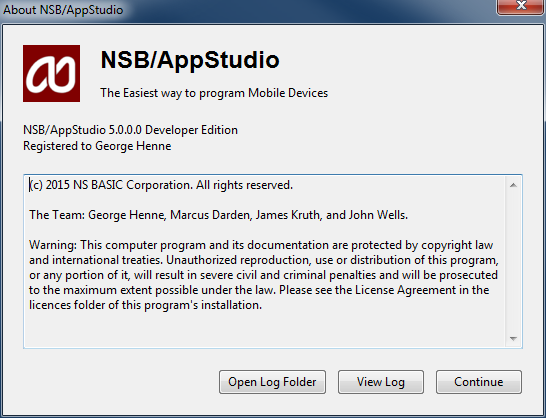 Normally, the only reason to look at the log is when requested by AppStudio Support. This page was last edited on 7 May 2013, at 13:37.